|| Please Note: Elements of this post have been edited out, out of concern that they may be offensive to certain individuals. This was not the intention of the original post and I apologise if anyone has been offended. Personally - I'm vehemently against this sort of thing. Someone who has not learnt the rigorous material should not be allowed to put kulmus to klaf. True even if someone's tzurat ha'ot is ok. But who knows what kinds of kavanot, kidushim, chak tochot, etc etc has gone on if he's not a real Sofer??? 1) Being taught a complete STa"M Halacha course by an experienced Sofer incl shimush. Without a teuda this would be hard to prove but if the claim was made I would be happy with this person writing for himself. 2) have a teudat hasmacha. I'm not going into now what's included in a curriculum or the levels of hasmacha - that's another topic. Without either one of these two criteria (the best case would be to have both!) my PERSONAL opinion is a person should not write Stam even for themselves. This is my own view and I'm not actively trying to impose it on others. My reason is because once a Stam item is written (even for private use) it is now in existence for a long time. It enters if you like "a sea of Stam products already existent in the world". And this means that while it may remain for private use for some time, it is very easy to see it one day being donated, sold, given as a gift or even lent to others. And I do not feel comfortable with people not having this criteria creating works of Stam. A megilla might be debatable. I would hold the same standard but I know others may not. But for other Stam I personal feel very strongly as I've outlined. As far as I'm aware Rabbanut Stam exams do not prepare you to operate as a Sofer - ie to write Stam or even to be a magiha. They test your knowledge of the Halacha in the SA areas relating to Stam and keriat hatorah. Which obviously include more than a Sofer exam because they are two different functions. The Rabbanut exam is for a city Rav who may get shailos to do with anything related to Stam - including using it correctly, wearing tefillin, leining, putting up a mezuza, hachnasat Sefer Torah etc. 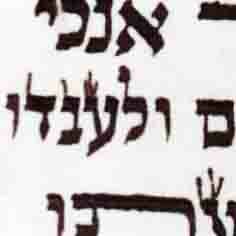 Whereas a Sofer/megiha is a specialized qualification only in the writing/checking area of producing kosher Stam. Now it may be advisable for sofrim to expand their knowledge of Stam to include things like hilchos batim, placing a mezuza, keriat hatorah. I indeed think this is very important - especially for community sofrim. But at the end of the day they are not technically essential for kosher writing. So of course they are different. I would expect a Rav Ir upon being presented with a tzurat haot shaila that's not completely straightforward to consult a qualified, experienced magiha if he himself isn't one. I can name a couple of big sofrim who that is all they have. However their clientel is typically restricted to their own kollel/yeshiva/community where everyone knows who taught them ect. I started out that way in fact. I was learning hilchot stam for the Rabbanut exam and wanted kabballah as well in k'tiva. As far as writing no they don't. As far as being megiha... that depends on who you ask, and how well they learned the material when learning it. I would expect a Rav Ir upon being presented with a tzurat haot shaila that's not completely straightforward to consult a qualified, experienced magiha if he himself isn't one. It's funny that you say that. As a maaseh rav, I took a shaila to Rav Ovadia Yosef ZTzUK"L once. He refused to give a psak on it, and even said to me that one shouldn't trust a normal magiha with such a shaila, but that it had to be a hakham who was involved in divrei Stam every day. I think in general it's a bit annoying when, as a properly trained sofer with shimush, you encounter "know it all " balebatim who think they can write and check stam when most of the time they are way off the mark. IMHO, I agree with what Ari is saying, if indeed he does not have kaballah, but I also agree with Rabbi Michael here in that if someone wants to check or write his own stam its a bit like a father who wants to do his own son's bris - he only has himself to blame if C'V something goes wrong. So in the next world if he's told he was not yotzei mitzvas tefillin or mezuzah because he was a "know it all" or "wanna be", that's his problem. However if such a person strats checking others or writing for others, even for free, that's already a different geder, and bad news indeed. I got kaballah in writing simply because I wanted to be able to write my own megillot, and one day IY"H my own sefer Torah. I personally think that these are huge mitzvot that many people miss out on. Let's be honest a person can pay $30k or more for a decent sefer Torah to be written, or they can actually learn some Torah, pay a $1-2k for some good skills, and then write their own S"T at a much reduced cost, while fulfilling the mitzvah l'chatchila. 1)"Know it all Baal HaBatim" and "Wannabes"- In my experience these folks are either naturally artistically gifted and/or have learned through the mishnah berurrah at some point and suddenly they think they know everything about everything. I could give ample examples. I think these should be discouraged from DIY stam. 2) Amateur Sofrim- In all honesty I think this encapsulates the vast majority of people who get a teuda. They actually learn everything, write a megillah for themselves and their sons when they are of age, and possible even write a Sefer Torah(one I know wrote a S"T over the course of 10yrs). They simply either are not skilled enough to be professionals sofrim or they have no desire to be a professional sofer. 3) Professional sofrim. Those that write primarily for pay, and who hopefully are reviewing the halakhot every month. Despite having written hundreds of mezzuzot I have yet to actually write them for my own house... Though I do have my own megillah. I think group 2 should not be bothered if they want to write for themselves, though I wouldn't necessarily trust them more than a year out from receiving their instruction/teuda to write for other people. While the latter group I would trust to write for other people. Most balebatim / Rabbis know their place and realize it takes a lot of learning to be a sofer mumcheh. Although it does happen that you have people who think they know it all , I think most of the general public today know that only a professional sofer is trained to deal with stam and they would not take a flyby seriously. The biggest problem is when "practicing" sofrim themselves are not properly trained. This is a much bigger michshal. The biggest problem is when "practicing" sofrim themselves are not properly trained. Can you define properly trained? For instance there are Sofer certification organizations that insist that teuda or no, if the sofer isn't reviewing the halakhot on a monthy basis, then they are not certified by them. Essentially stating that the sofer should be able to easily pass a certification exam at any point. There are others that give a teuda and then that is good as is for 2-3yrs, which is scary to me. Especially considering that the RCA did a study on pulpit Rabbanim in the US not too long ago(I guess about 10yrs now) and found that five years out of Yeshiva 85% couldn't read a daf of gemmarra or accurately psak a halakha in whatever area they were musmakh. 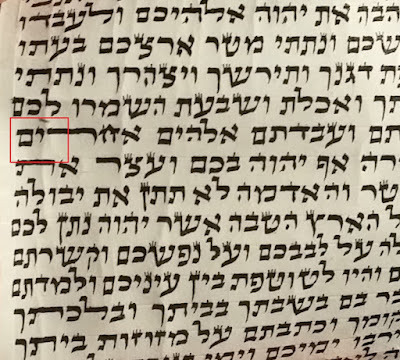 Likewise there are certification organizations that require that their sofrim write kosher l'katchila or even kosher l'mehadrin before they will certify them. Then there are others that are not concerned so much about the sofer's ability to write. I think these things are very important to define and understand. Further to be honest is the trustworthiness of a sofer. For instance there are certain hafradot that can be done l'katchila that then render the mezzuzah or tefillin kosher b'diavad, and for which the sofer is supposed to inform the customer. 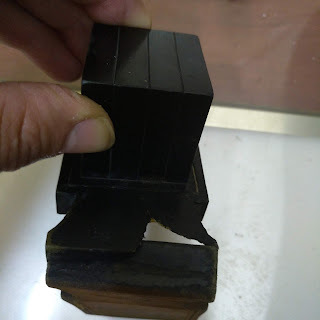 However, when you factor in that gedolim such as Rav Ovadia Yosef ZTzUK"L wrote that one cannot make a brakha on a mezzuza or tefillin that are kosher b'diavad, and if one did so by accident it is a brakha l'vatala, who is going to want to pay for such tefillin. So now we are left in a situation where we have to trust the sofer to be honest enough and willing enough to take the loss. We can go on, but honestly it is not so simple. I guess it all depends on what you mean by "learning STA"M". I am worse than a baal habos, I'm an oisvorf bochur-software developer. I learned STA"M and had some shimush in hagaha (about six months during and after my last year of college and got kaballa from the Vaad in Bnei Berak. I never intended to be a practicing sofer but ended up as one for a few months last year. The problem is quality control. While in Israel I became familiar with two STA"M courses. One was calligraphy-focused where the goal was to go from a raw feather to an illuminated megillah. The other was given through a friend's yeshiva and was mostly halacha. The goal was to learn hilchos STA"M and apply them in a kosher manner, emphasis on the former. I would buy mezuzos from a graduate of course number 2.